We use time to schedule our lives. When we go to school, to work, when we come home, and when we relax. 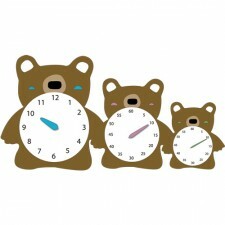 Learning how to tell time is one of the most important tasks for a child to learn, and it will stay with them throughout their lives as they grow older. From packing their own schoolbooks to leave in the morning to sending out “Save the Dates” years later, every act of scheduling will come down to one simple thing: Knowing how to read a clock. Once we’ve learned it, we often forget how hard it was to pick up in the first place. The circular face, the dials, the hands, how many hours to a day and minutes to an hour all seem like second nature to us. But to a child, it’s not so easy. Understanding why the numbers “reset” to 1 when they do, or how to divide up hours, can be tricky when you’re young. That’s why our line of educational clocks were designed to break down the complex into simple, easy-to-understand steps to make learning time smooth and fluid. Your child can learn the natural building blocks of time on their own and, when they’re ready, put them all together―without having to get frustrated. 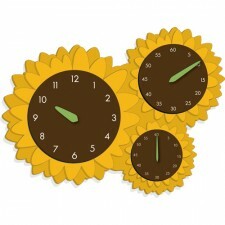 Educational clocks aren’t just for kids, either. Because knowing how to tell time is so fundamental, even when learning a second language as an adult, one of the first things taught is how to tell time in the language you’re learning. Whether you’re teaching a second language as a school early immersion program or are running a second language class for adults, the educational clocks you see here can help break down barriers in languages, making it easier to understand how to tell time in any language. Canadian Clock Company is committed to giving back. For every clock in the Educational line sold, we’ll donate 5% of the sale price to the Children’s Hospital of Eastern Ontario.